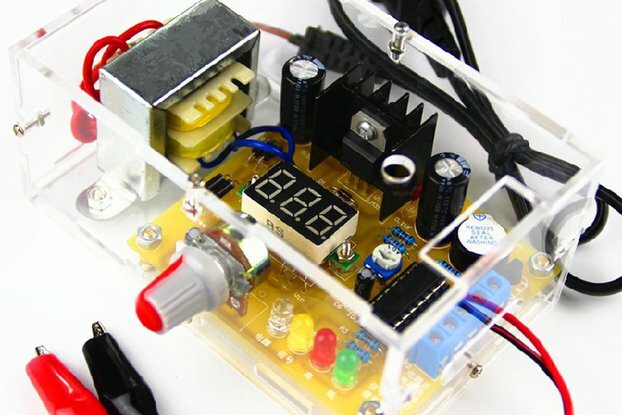 This Adjustable +Voltage DC Power Supply Project Kit is designed around the LM317T 3-Terminal Adjustable Voltage Regulator in the TO-220 package. 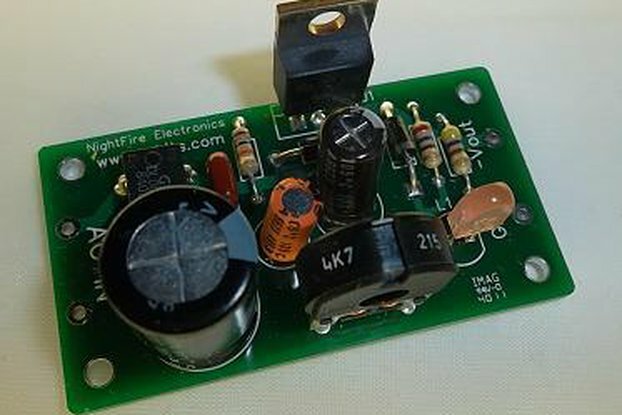 It is capable of supplying in excess of 1.0 Amps over a range of 1.5volts to 25volts DC output. It includes an LED on the output so you can tell that it is working. 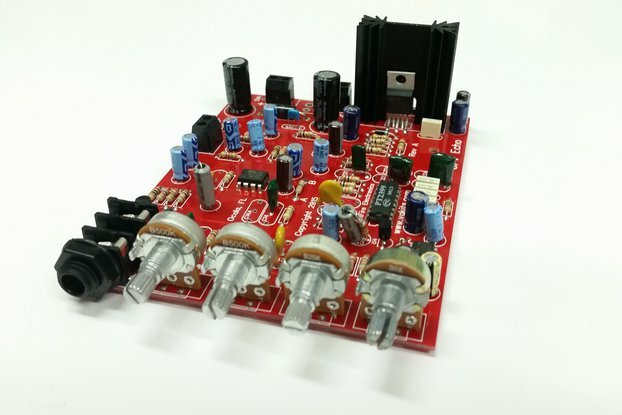 This kit consists of the PCB, Schematics, and parts required to build a 1-amp (or more), highly regulated Adjustable DC Power Supply. It requires either an AC voltage source (5 V to 25V) from a transformer, such as a wall-mount type. Or it can accept a DC input from a Battery. 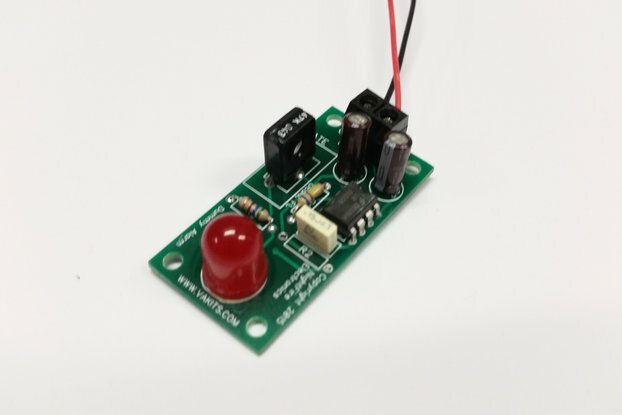 The DC input voltage must be at least 2.5v higher than your desired output voltage. A heat sink (not supplied) may be needed for the LM317T, depending on your application. 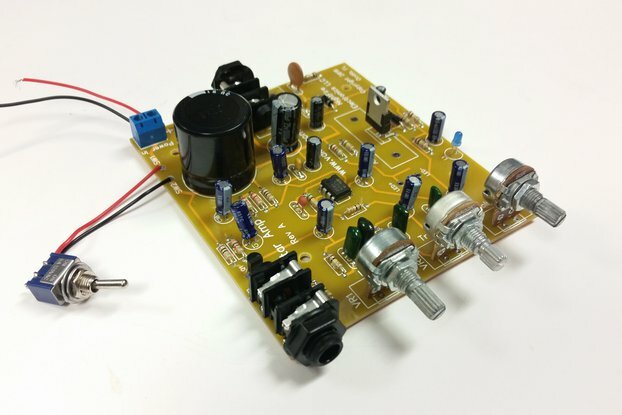 You will need soldering tools and basic soldering skills. 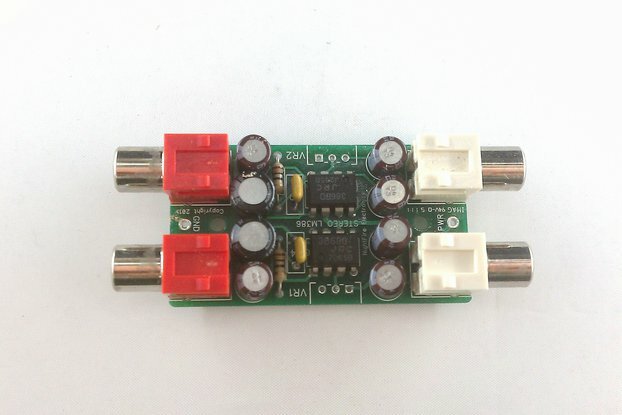 The output voltage is varied with a potentiometer and is very steady and accurate even while the input voltage varies. 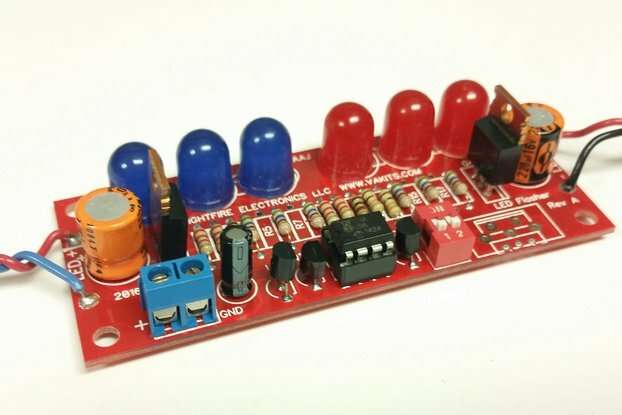 The output can be varied from around 2.0VDC up to 25 VDC depending on the input voltage. 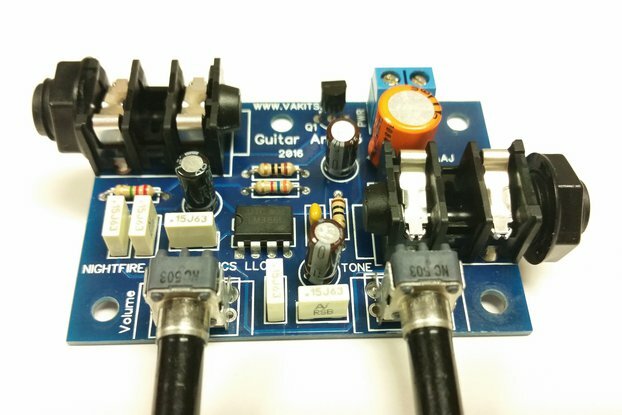 This circuit is perfect for those that want their own small but powerful power supply. It can be used on the bench or as part of your project. It is small enough to fit in robotic vehicles and such. The maximum input voltage is 18VAC or 35VDC. Do not connect this directly to the 120VAC line. 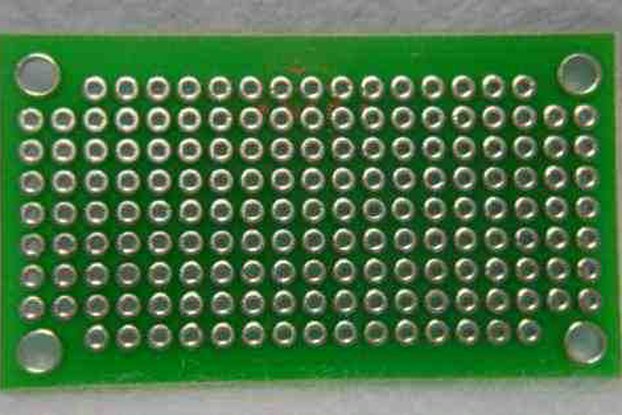 The PCB is 1.1" x 2.0", double-sided, .062", FR-4, with Silk Screening on the Top Side. 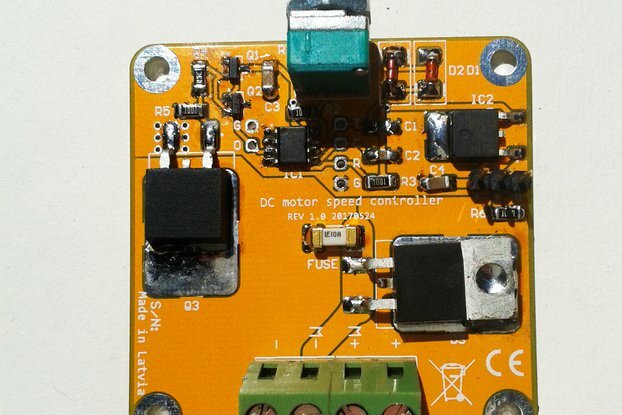 This is an excellent chance to build your own Power Supply. We supply the parts, you supply the ingenuity. You will get the blank PCB, Component parts, and the schematic.